Busy people everywhere are reeling from the overwhelming amount of emails they receive every day. With this much digital traffic, it is hard to get anything else done. Ann Gomez brings her popular and engaging training style to this book. She shares a practical and streamlined approach to help anyone clear his or her inbox in less than three hours. You are only a few short hours away from a radically different way of working. 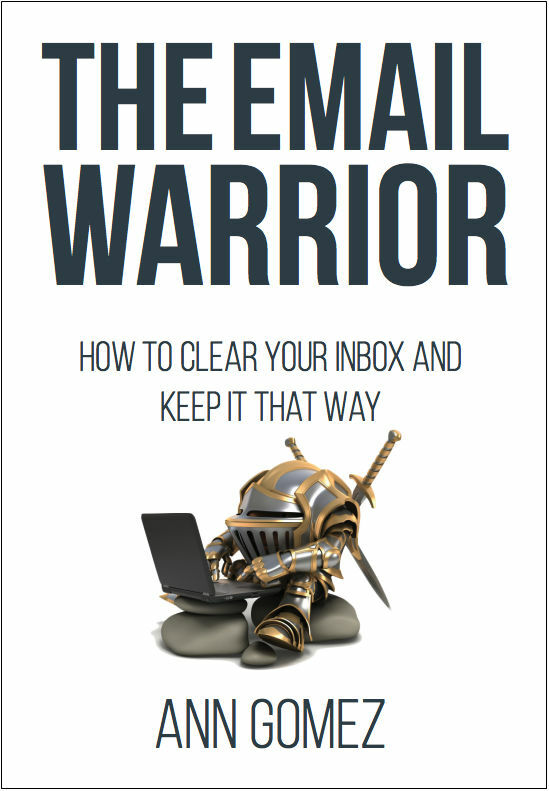 As an Email Warrior, you will take back the reins of control over your email inbox. Email will no longer overwhelm you. You will spend less time on email and you will get more done. Productivity is the sum of many small steps, drilling right down to how you handle a single digital message. The techniques outlined in this book will help you protect more time for top priorities while remaining responsive. Ultimately, this book is designed to help you better manage your most precious resource — your time.